As a psychiatrist and an empath, I am fascinated by how the phenomenon of empathy works. I feel passionately that empathy is the medicine the world needs right now. During these stressful times, personally and globally, it’s easy to get overwhelmed. Even so, empathy is the quality that will get us through. It enables us to respect one another, even if we disagree. Empathy doesn’t make you a sentimental softy without discernment. It allows you to keep your heart open to foster tolerance and understanding. Being empathic might not always be effective in getting through to people but I think it’s the best chance we have for peace in our own lives and on the planet. In my book “The Empath’s Survival Guide” I discuss the power of empathy. 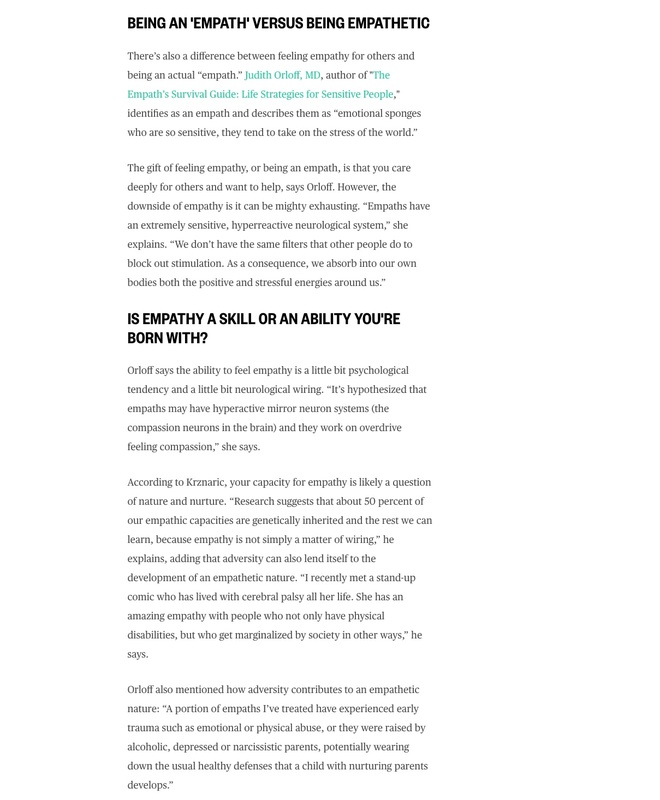 I also address the difference between ordinary empathy and being an empath. Like many of my patients and myself, empaths are people who rank high on the empathic spectrum and actually feel what is happening in others in their own bodies. As a result, empaths can experience deep compassion for others–but they often get exhausted from feeling “too much” unless they develop strategies to safeguard their sensitivities and set healthy boundaries. Research suggests the empaths may have a hyper-active mirror neuron system in their brains. These are the cells responsible for compassion. 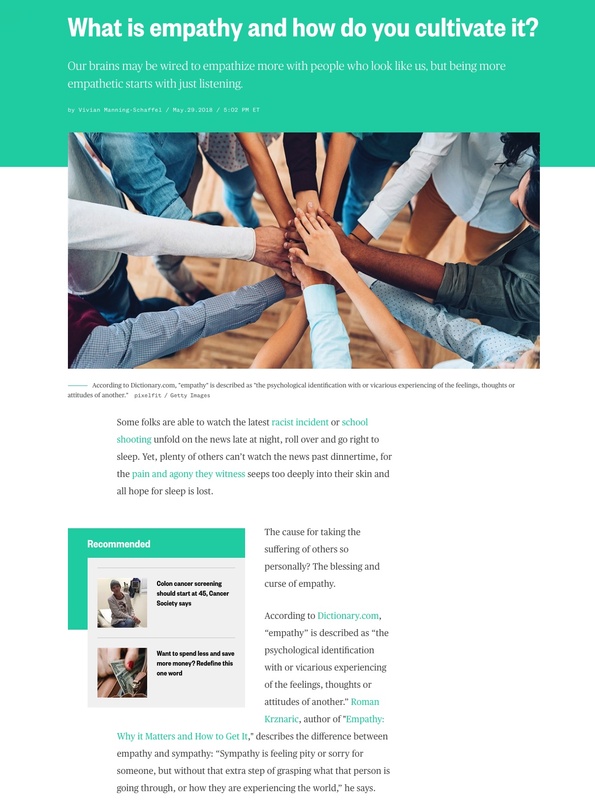 Because of an empath’s tendency to experience pain in others, it’s important for us to learn how to be caring without shouldering the suffering of others or the world. 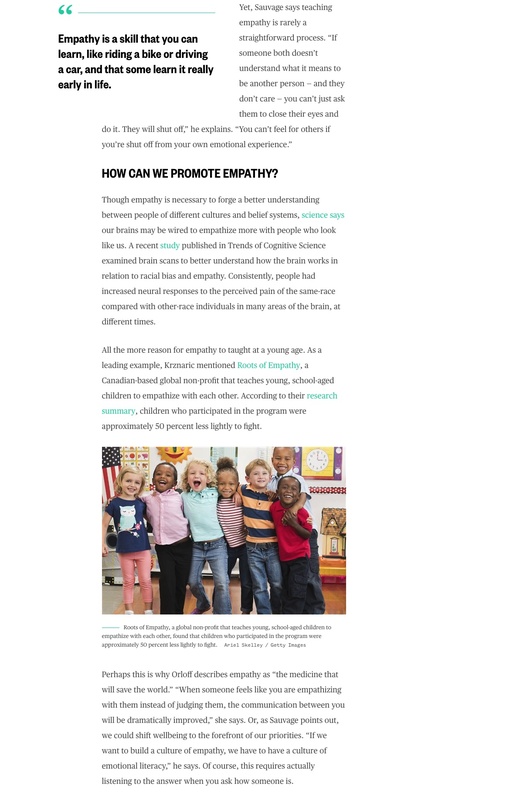 Click HERE to learn more about the Power of Empathy.